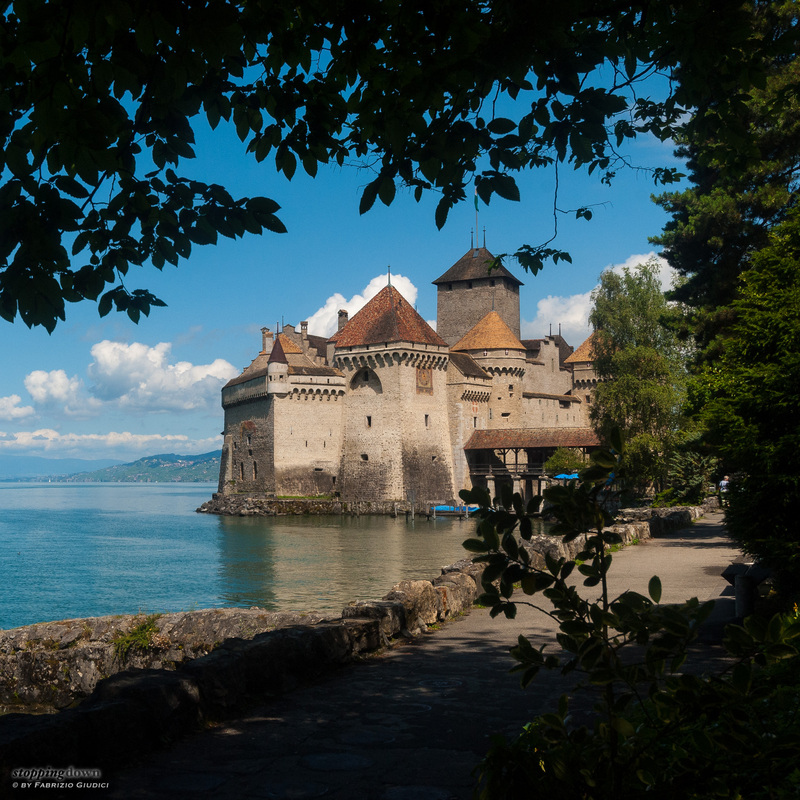 Chillon is one of the most beautiful castles in Switzerland. Too bad it is very close to the town of Montreux and it seemed unavoidable to get a big portion of the town in the background. Fortunately, the castle is near a park and, by searching the proper composition, I was able to mask the undesired stuff behind the trees. Trees with foliage are a great solution to control the background. Furthermore, shooting in full daylight from under a tree, foliage usually get dark or black, in silhouette and can be used to create a frame for the composition. 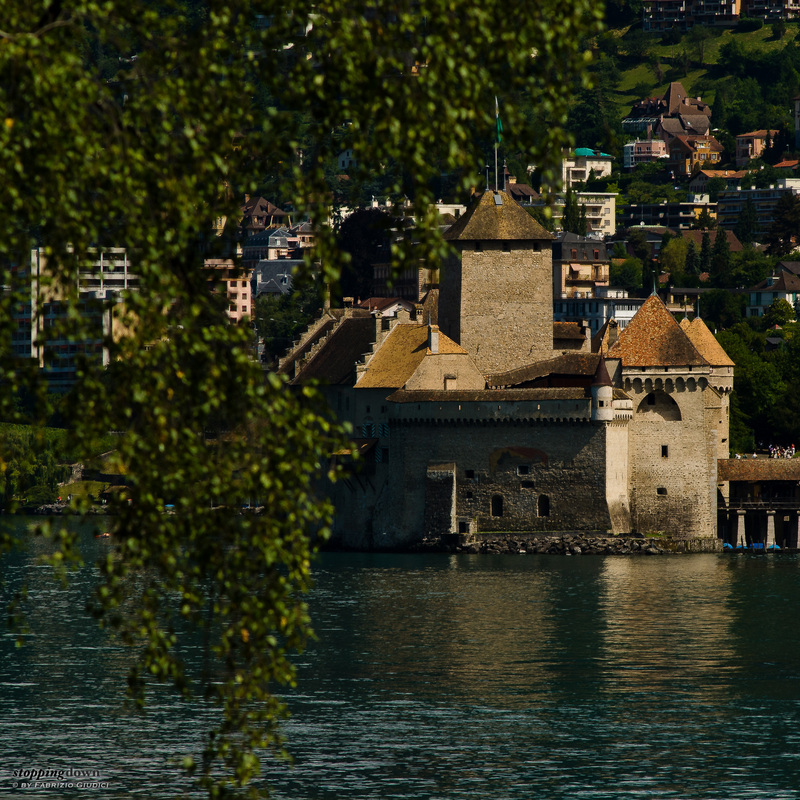 Chateau de Chillon (Switzerland). Nikon D200 + AF 180 f/2.8N, 1/500 sec @ f / 8, -1 EV, Auto ISO @ ISO 180, hand-held. Chateau de Chillon (Switzerland). Nikon D200 + AF 180 f/2.8N, 1/500 sec @ f / 8, -1 EV, Auto ISO @ ISO 125, hand-held. 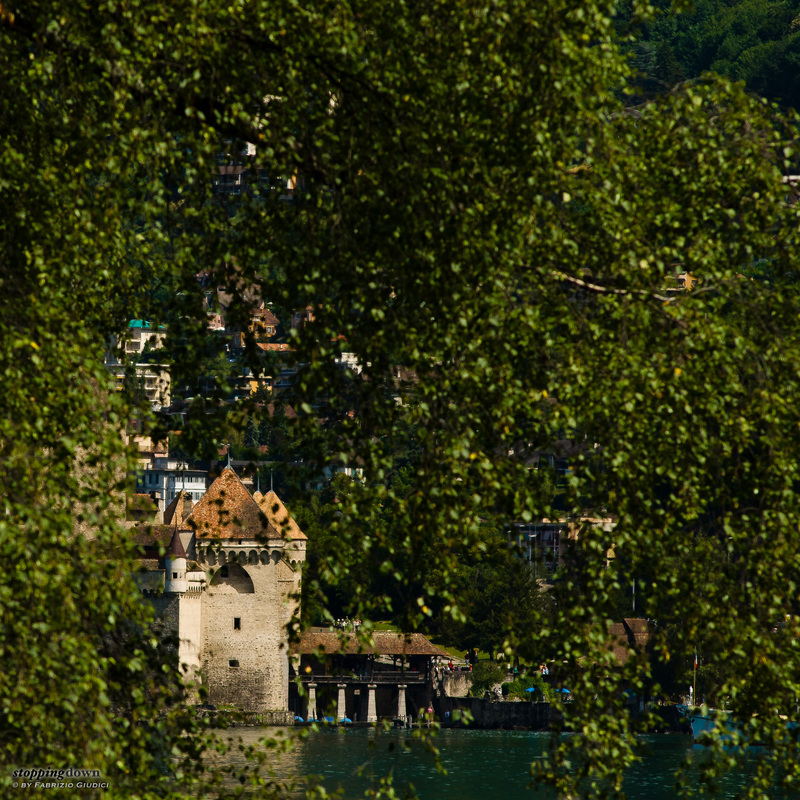 Chateau de Chillon (Switzerland). Nikon D200 + AF-S 12-24 f/4G @ 24mm, 1/500 sec @ f / 11, -1 EV, Auto ISO @ ISO 220, hand-held.